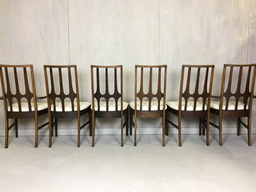 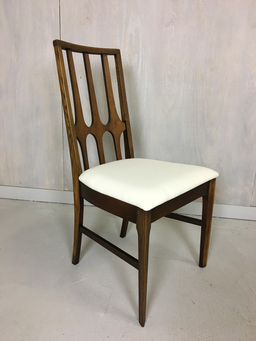 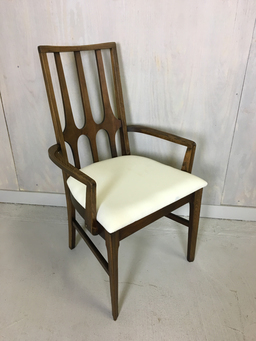 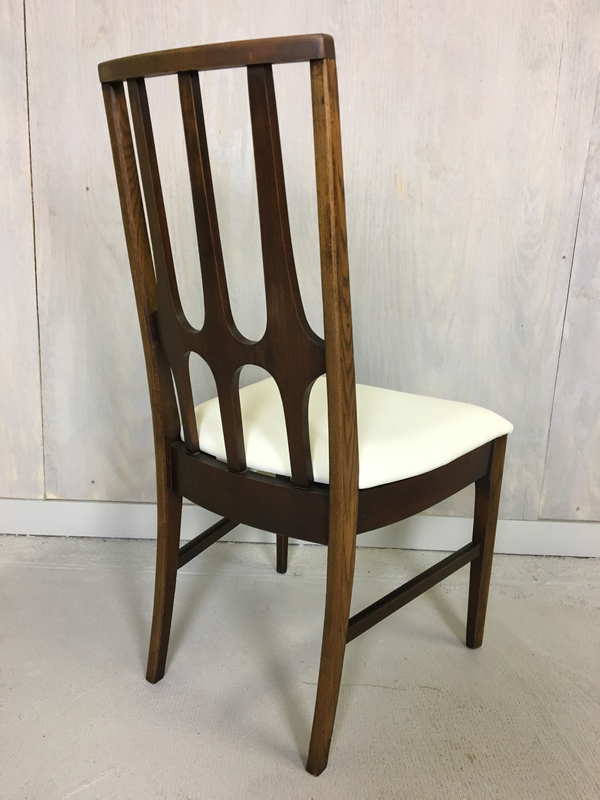 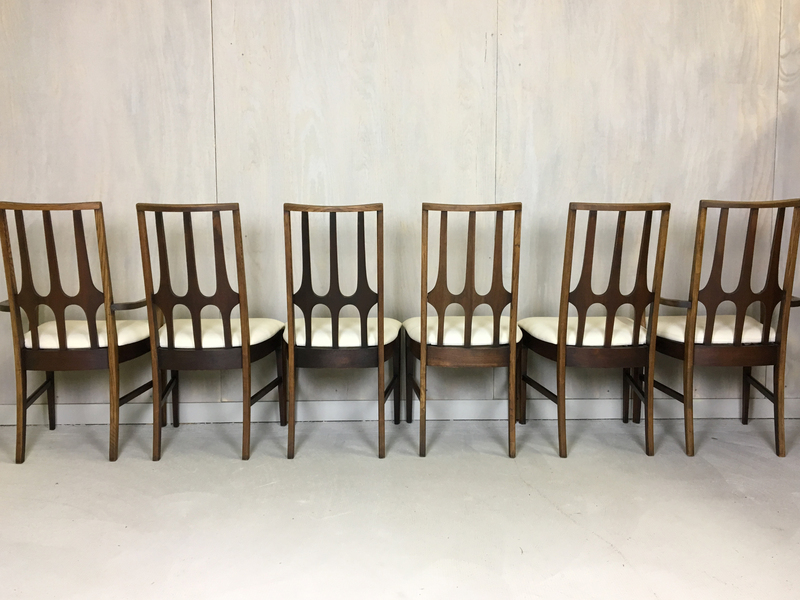 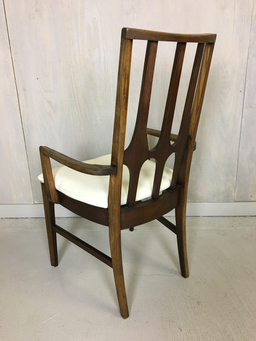 Set of six vintage walnut Broyhill dining chairs for the Brasilia collection circa early 1960s. 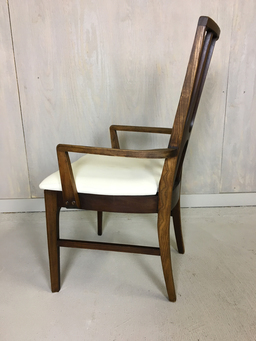 An extremely desirable example of mid century American furniture. 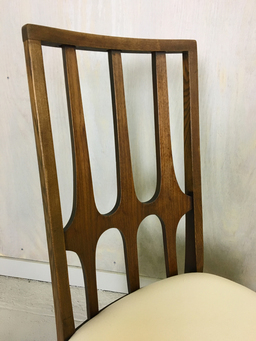 The chairs feature Oscar Niemeyer’s sculptural curved backs. Wonderful vintage condition with only minor marks of age and use. 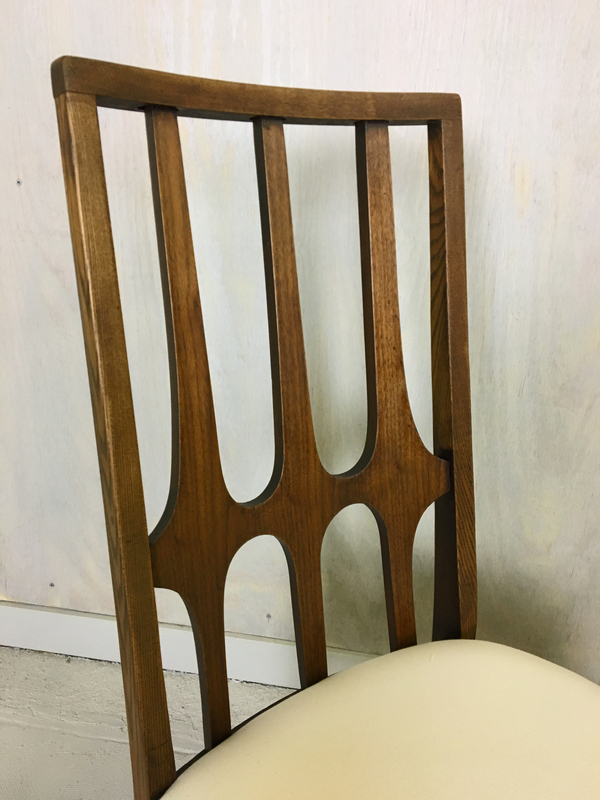 Structurally very sound. 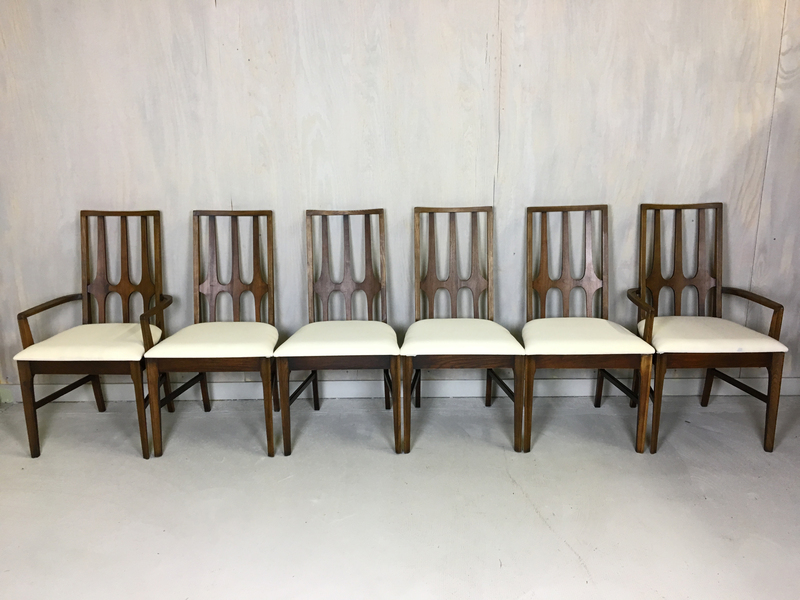 Seats have been reupholsterd with new foam and muslim and can be purchased as is or covered with the fabric of your choice (cost of fabric not included).